Middle school students are accused of breaking into a Santa Clara high school and killing at least three animals as part of a weekend crime spree. 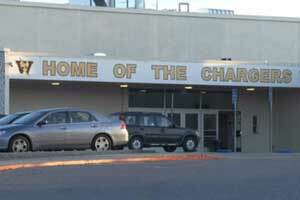 Santa Clara police said the teens broke into Adrian Wilcox High School over the weekend. Once inside, the students damaged a snack shop and vandalized cars that were being used in an auto shop class. Police also said the students also found a rabbit, duck and a rooster and killed the animals. "Obviously it is disturbing when you have middle school-aged children involved that did this act," Lt. Kurt Clarke said. "And the welfare of the animals war our primary concern." Investigators interviewed three students suspected of the crimes. The students interviewed do not attend the high school, police said. Authorities also said the students will likely be charged with cruelty to animals, vandalism and burglary.